She was only 21 when she starred in the silent film La Hermana San Suplicio, her first major success. From 1930 onwards she starred in several films, among them El Profesor de Mi Mujer, Lo Mejor Es Reir, ¿Cuándo Te Suicidas? and a short with Maurice Chevalier called El Cliente Seductor. 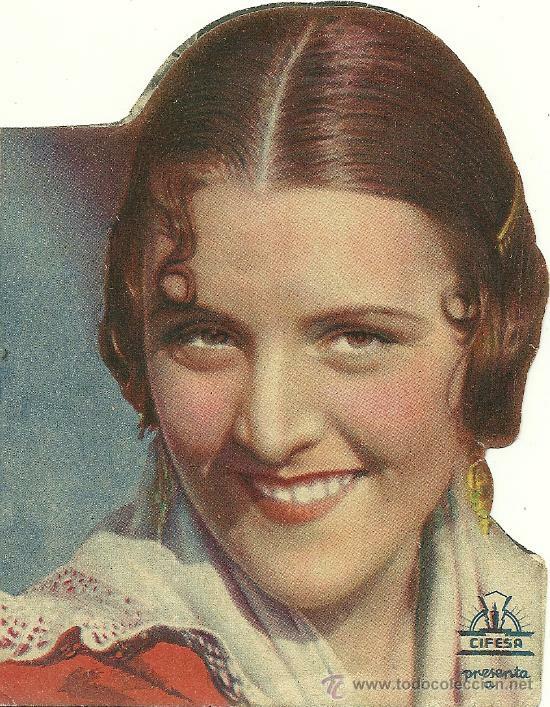 Her fame as an actress was consolidated when she signed with Paramount to make two films with Carlos Gardel – La Casa Es Seria and Melodías de Arrabal. She was one of only four actresses to sing duets with Gardel. Imperio Argentina was criticised for accepting an invitation from Goebbels to film in Germany and for being introduced to Hitler, who wanted her to star in the biography of Lola Montez, the nineteenth century Irish adventurer and dancer. In Germany she met Marlene Dietrich and Estrellita Castro, who was filming Mariquilla Terromoto there. After Kristallnacht (The Night of Broken Glass) she returned to Spain with Estrellita Castro, but she was always considered to be a Nazi sympathiser and these sympathies led to her shows being boycotted in New York, Buenos Aires and Mexico City. Back in Spain she made several new films that restored and increased her popularity. Nobleza Baturra and Morena Clara and a new talkie version of La Hermana San Sulpicio directed by Florián Rey – a famous director of the time – whom she married in 1935. A non religious union that was short lived. They had one son who committed suicide in his twenties. She later married Ramón Baillo, Conde de las Cabezuelas, this time in a religious ceremony, and when they separated she was subjected to harsh criticism by the Church. They had a daughter, Magdalena, who suffered mental health problems all her life but gave her several grandchildren and great grandchildren. The fact that both her children died before she did was a constant source of anguish to her. After years of very little activity, she was rediscovered at the San Sebastián Film Festival and regained popularity and received a number of well deserved tributes. She made films such as Tata Mía and worked in the show Azabache at the Seville ’92 Expo. Imperio Argentina died at her home in Torremolinos on 22nd August 2003 at the age of 92. Curiously she lived the last years of her life on the street named after her in this town. In 1998 the director Fernando Trueba made the film La Niña de Tus Ojos, which was based on Florián Rey and Imperio Argentina’s adventures in Nazi Germany. The film received 18 nominations for the Goya Awards (The most prestigious film awards in Spain) and won seven. Here is a clip of Penélope Cruz, the winner of one of them, who plays Argentina Imperio in the film.